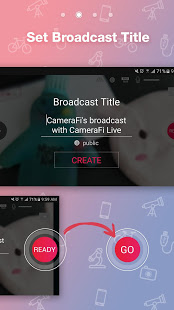 Pick a broadcasting server, specify the title and live stream using your phone. 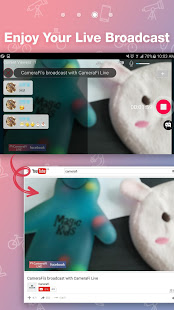 Share your steams with friends or watch alone by tweaking the broadcast privacy settings. Adjust the video size and use in-Mic or UAC (USB Audio Class) audio input options and built-in or USB camera as video input. 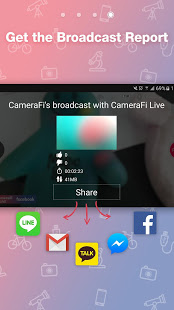 It broadcasts your live stream to your YouTube or Facebook accounts. Watch the stream of the NHK WORLD TV broadcasting service. 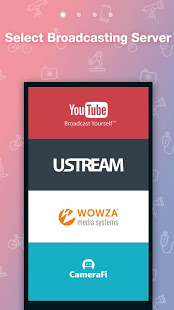 A live broadcasting and media sharing suite.